Gucci "Marmont" shoulder bag in matelass?? 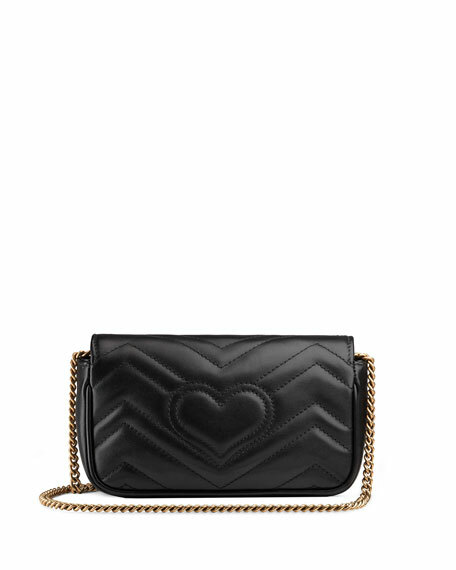 chevron calf leather with a heart. 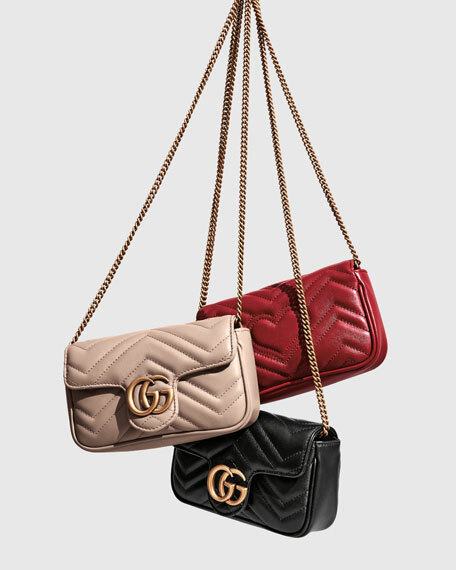 Sliding chain/leather shoulder strap may be doubled, 12.2-21.3"
Gucci bucket bag in GG supreme canvas and leather. Removable, adjustable shoulder strap, 23" drop. Open top with drawstring closure. Gucci bucket bag in GG supreme canvas and leather. Removable, adjustable shoulder strap, 23" drop. Open top with drawstring closure. Exterior, signature green/red/green web at base. Interior, soft microfiber lining. 6"H x 7.5"W x 3.5"D. Made in Italy.